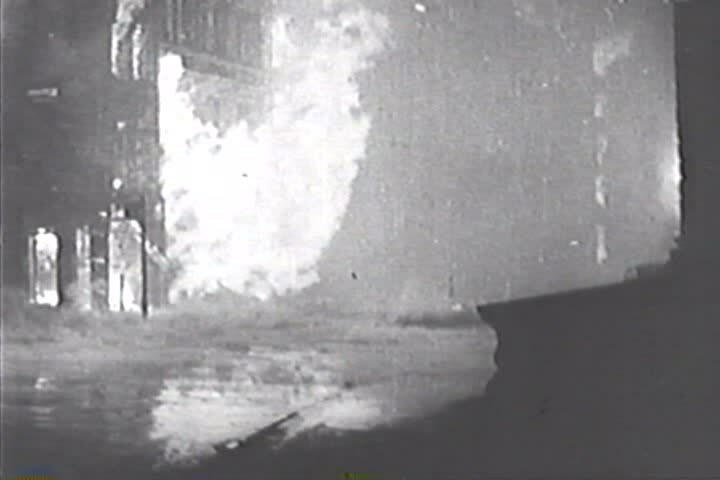 sd01:05CIRCA 1940s - While historic buildings are bombed, firemen try to extinguish the fires using the water from the river in the 1940s. hd00:08Urban Fox in house garden by infra red light. hd00:50Boiling water. Water flows out of the tube one reservoir to another. Lots of splashing and noise from the water. Video advertising is suitable for drinking water and clean water supply.